Shaukat Shamim is the founder & CEO of Youplus. Founded by team of serial entrepreneurs Youplus has created the world’s first “Video Opinion Search Engine”. It has a blockchain based neural network that can reliably predict based on measurement of video opinions. 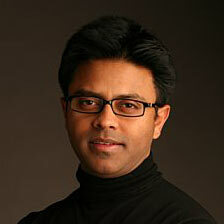 Prior to Youplus, Shaukat was the founder and CEO of Buysight, a performance marketing company that was acquired by AOL. Prior to Buysight, Shaukat was the founder of Rhythm Newmedia, one of the first mobile advertising companies that merged with Blinx and subsequently went public as RhythmOne (RTHM:Lon). Shaukat was an early member of the Yahoo! team (from 1997, where he led the creation of one of the first messaging platforms, Yahoo messenger). Shaukat was also a partner at Neocarta Ventures, a $300m early stage venture fund based in Silicon Valley.